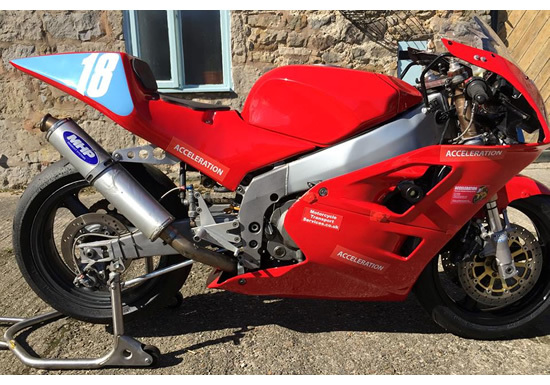 Acceleration provides a professional motorcycle transport, delivery and collection service across the UK including the Isle of Man and the whole of Ireland. Our company specialises in the transportation of motorcycles door to door with the minimum of fuss and maximum care. We also offer this service for scooters, quads, ATV's, sidecars and anything else to do with motorbikes. We are now one of the longest established motorcycle transportation companies in the UK and our friendly staff are here to help you in any way they can. We use new Iveco XLWB vans fitted with satellite navigation systems, thus ensuring a speedy delivery which can be tracked at all times. We understand how important your motorbike means to you so our transport service is fully insured, thus providing you with peace of mind for the whole transit. All our vans are fully equipped to hold your item safely and securely. With over 20 years in the motorcycle transport industry we offer a truly professional service. We pride ourselves on having an excellent reputation with our existing customers who use Acceleration again and again. We offer a door to door motorcycle transport and delivery service second to none at very competitive rates. A friendly, personal service. You can call us and speak to a person, not a machine. Contact Acceleration motorcycle transport services for a quote.